METABOLIC SPIKE™ is one of the most versatile, metabolic supplements available today! 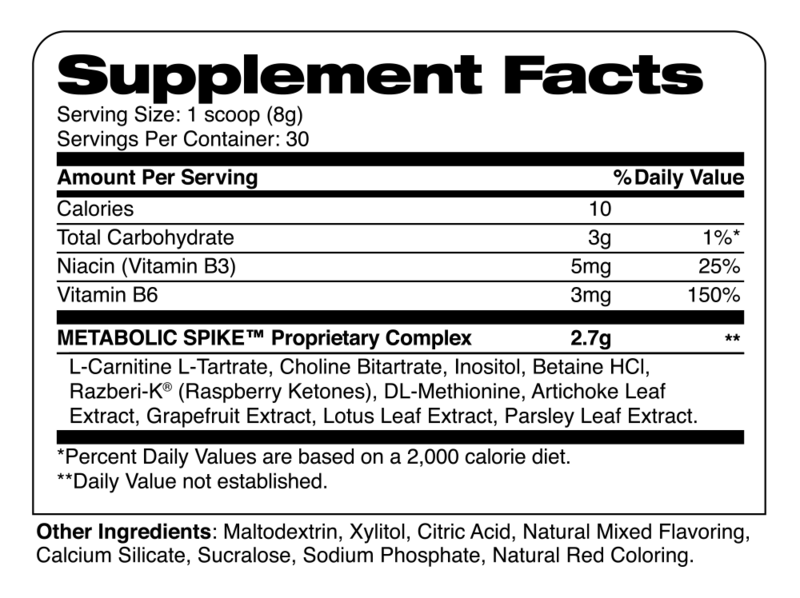 METABOLIC SPIKE™ can be taken by itself or can be added to virtually any powdered supplement. 30 minutes prior to high-intensity training or cardio is the ideal time for consumption. So go ahead, "Spike" your favorite pre-workout supplement for increased effectiveness! Have a late night cardio session or high-intensity workout? No problem. 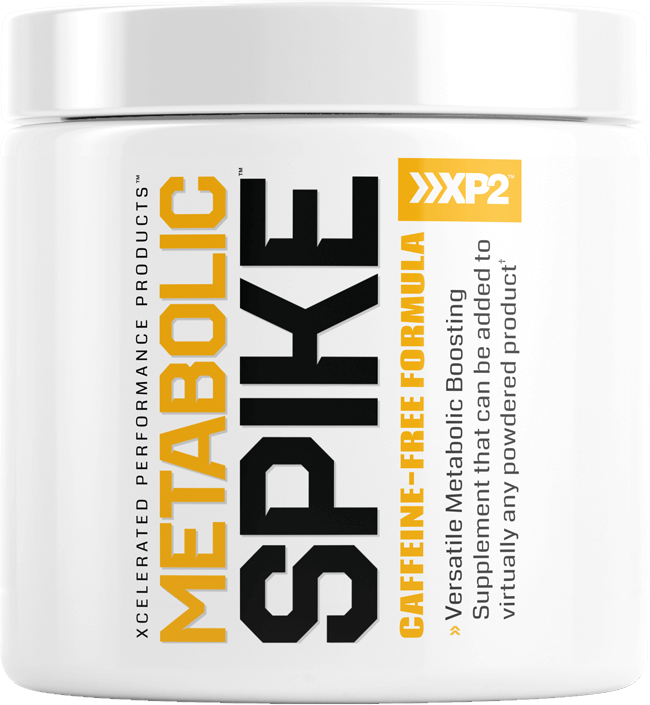 Since METABOLIC SPIKE™ is caffeine-free, you can take it morning, afternoon or evening! SUGGESTED USE: As a dietary supplement, mix 1 scoop with 6 to 8 ounces of water or your favorite pre-workout supplement 30 minutes before your workout. Do not exceed 2 servings per day.